Creating a distinctive and inspirational identity for a premium Norwegian homeware brand. Bellas Hus believes beautiful, quality interiors should be accessible to everyone. We were asked to design Bellas Hus’ full brand identity, encompassing its new private label product range, store design, tone of voice, art direction and ecommerce website. 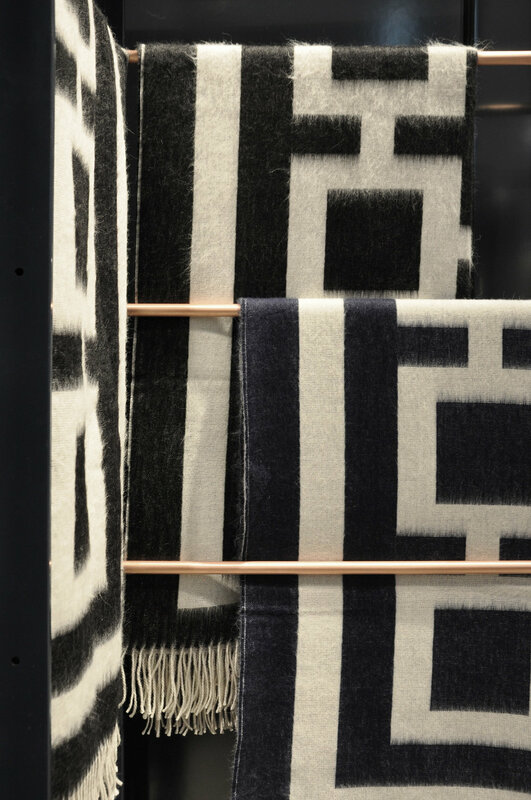 The new identity had to enhance Bellas Hus’ own brand personality while showcasing its hand-picked collection of luxury products from Jonathan Adler, Missoni Home and Mateus. Bellas Hus was looking for an international look and feel, celebrating its Norwegian roots without looking typically Scandinavian. Working with the Bellas Hus team, we identified the brand’s strengths as Scandi Curation, Stylish Glamour, Accessible Inspiration and Unexpected Details. This is embodied by the brand philosophy “every room tells a story”. The new identity is strong and stylishly simple. With flexibility as a key design principle, the identity works seamlessly across touchpoints in an infinite combination of ways. It can subtly enhance the other designer brands on sale, or be applied more emphatically to bring Bella Hus’ own brand to the fore. Dark navy was chosen as the brand’s signature colour. Acting as a powerful ‘neutral’, it creates a distinctive backdrop for Bellas Hus’ curated collection. Just one typeface, GT Walsheim, is used throughout the branding to enhance the simple, understated personality. A new rectangular brand marque acts as a seal, with the ‘A’ of Bellas Hus resembling a gabled Norwegian house. 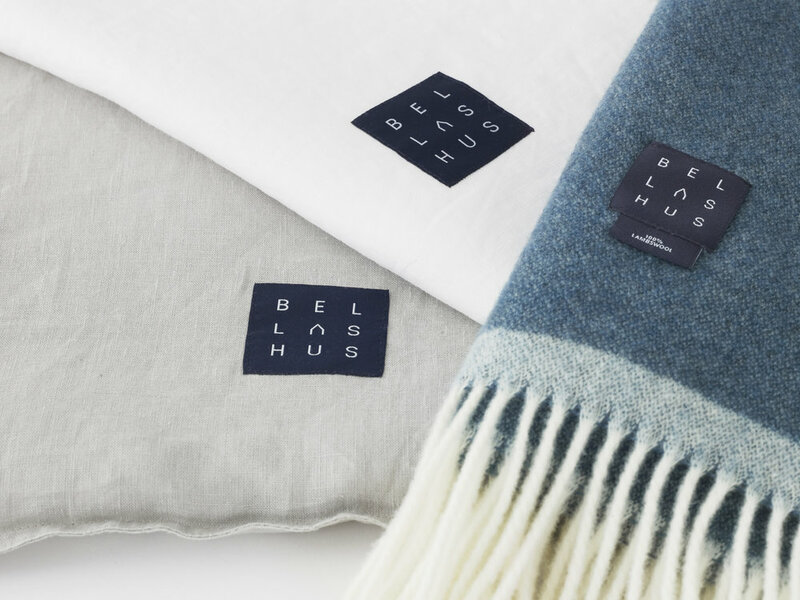 The marque is used to form a playful pattern, and as a logo for Bellas Hus’ own label – which includes loungewear, bedding, spa candles, linen and throws. 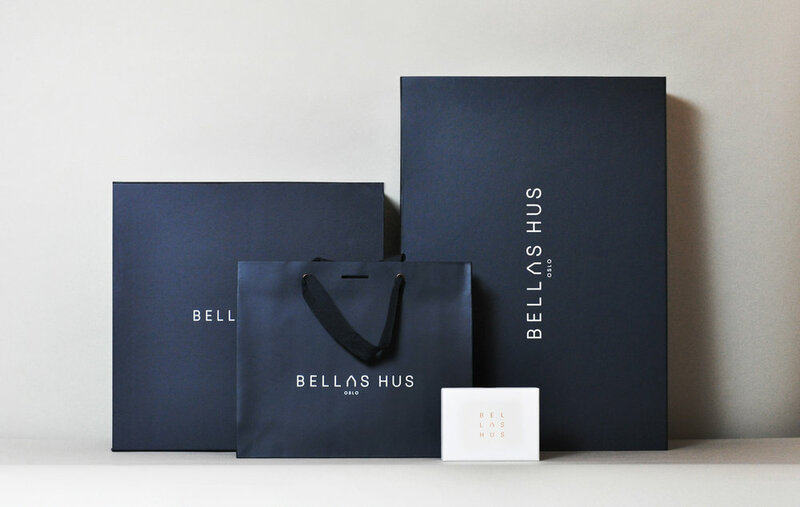 The packaging reflects the quality and simplicity of Bellas Hus products. Minimal, clean outer layers contrast with luxe, unexpected details like copper eyelets and bold pattern tissue paper. Hand-drawn patterns introduce edginess and personality. Bellas Hus’ shop-in-shop at Oslo’s famous Glasmagasinet department store communicates the same brand philosophy. The flexible concept features a modular merchandising system which can be regularly adjusted to present different collections. The inspirational space enables customers to imagine how products could look in their own homes, with dark marble-topped tables, bleached timber flooring and Jonathan Adler lighting creating a domestic feel. Metallic highlights, such as copper drawer handles, add an understated touch of glamour. The art direction follows Bellas Hus’ ‘Scandi curation’ ethos. Products are pictured in glamorous domestic interiors. The aspirational lifestyle photography inspires customers with a mix of branded products, creating an authentic yet editorial effect. In parallel to the store design, we created a distinctive and inspiring design language that was applied across all online touchpoints – from expressive social media content, to a functional and seamless e-commerce website. We are currently working with the brand on the design of a new store in CC Vest, Oslo, due to open in summer 2019.